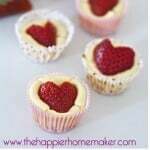 Need another sweet Valentine’s treat? 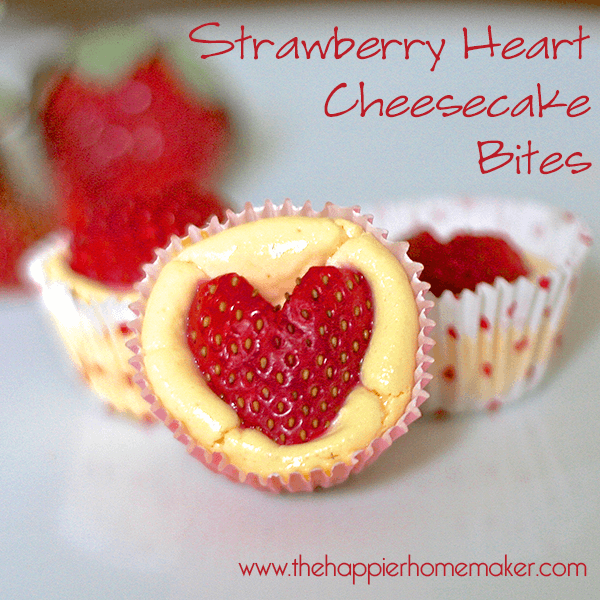 You have to try these adorable little teeny-tiny cheesecakes I made with my little guys the other day! My four year old is a SERIOUS strawberry fan-like he eats a package almost every day. And don’t get me started on his cheese consumption! So these little cheesecakes were the perfect dessert to make for him after some hard work with his speech pathologist yesterday. 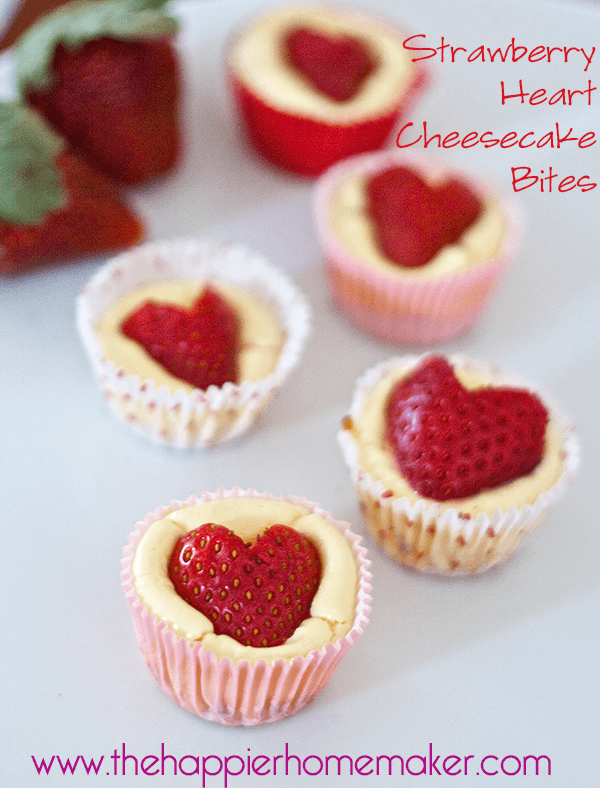 Immediately after removing cheesecakes from oven press strawberry hearts into the top of each cake. Do you love cheesecake, it’s one of my favorites! My hubby and I actually had one as our wedding cake! For some other Valentine’s (or anytime!) treat ideas check out my Chocolate Covered Marshmallow Pops, Low Calorie Chocolate Chip Brownies, or Triple Chip Chocolate Chip Cookies! How much is one packet of cream cheese. Sorry Mia! It’s 8 oz. I’ll update the post to reflect that! Such a perfect idea for Valentines day! Thanks Shannah, they’re tasty too! Thanks for the recipe and idea. These are adorable!